The big recent time travel introduction, though, has been my introduction to the world of Doctor Who. I had put it on my Netflix Instant Queue a long time ago and kept meaning to watch it. Last week, I finally took the plunge. I’ve been addicted ever since. For those who don’t know, Doctor Who is the story of a time travelling alien known only as The Doctor. He’s the last of his race, the Time Lords. He travels through time and space with one or more companions. 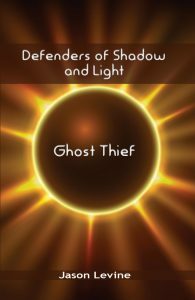 Along the way, he inevitably runs into danger which he overcomes using mainly his wit and intellect. 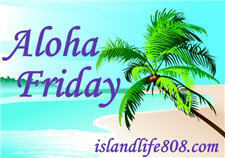 My Aloha Friday question for today is: If you could travel to any place in the future or past, where would you go and why? 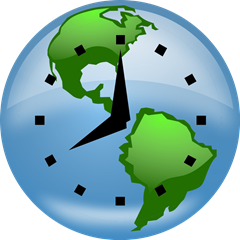 Disclaimer: The "Earth Time" image is a combination of Glossy Globe by Freedo and Clock by Palomaironique, both of which are from OpenClipArt.org. I would love to go back to Japan to see my samurai ancestors! Just to have an hour with my parents in our old home would make me happy. Harriet recently posted..Talk to me…….